This month has been an expensive one. With my best friends wedding and Harry’s birthday both next Saturday we have spent a lot on presents, dresses, suits etc. We’re also having a small family BBQ to celebrate Harry’s birthday next Sunday so will need to buy goodies for that. 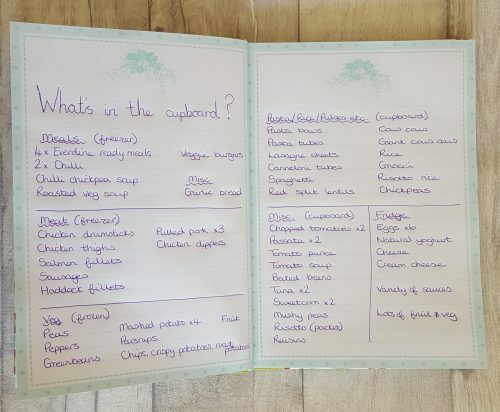 To try and save money elsewhere we have set ourselves the challenge to spend no money on food for the next 2 weeks (except for fresh fruit/veg/milk/bread etc when needed). 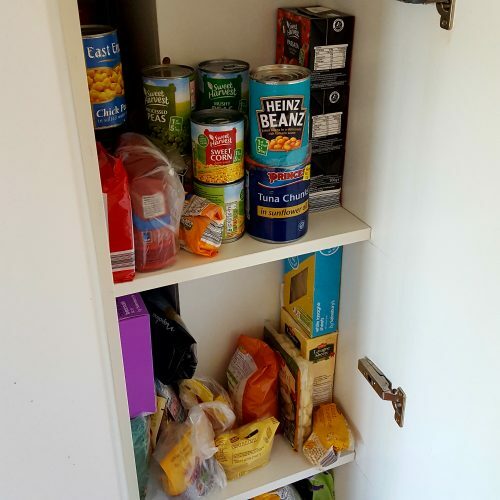 The first step we took on our money saving mission was to take stock of what we have in the cupboards. It’s amazing the things you forget you’ve got and end up rebuying. We looked through our freezer, fridge and larder cupboard and found that there is actually a lot of food already there just waiting to be used! 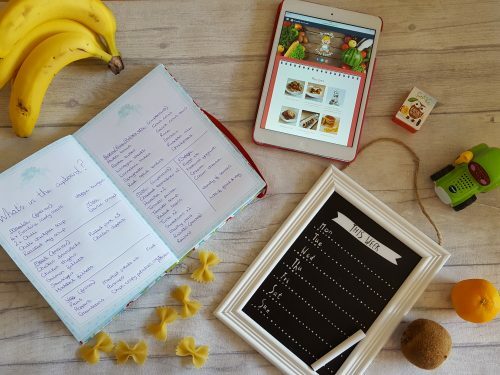 I made a list of what we have and then sat down to plan our meals for next week around that. Some of the meals will make enough for 2 meals for the 3 of us so will roll over to next week’s meal plan too. Thats a good idea to go through the food you already have!